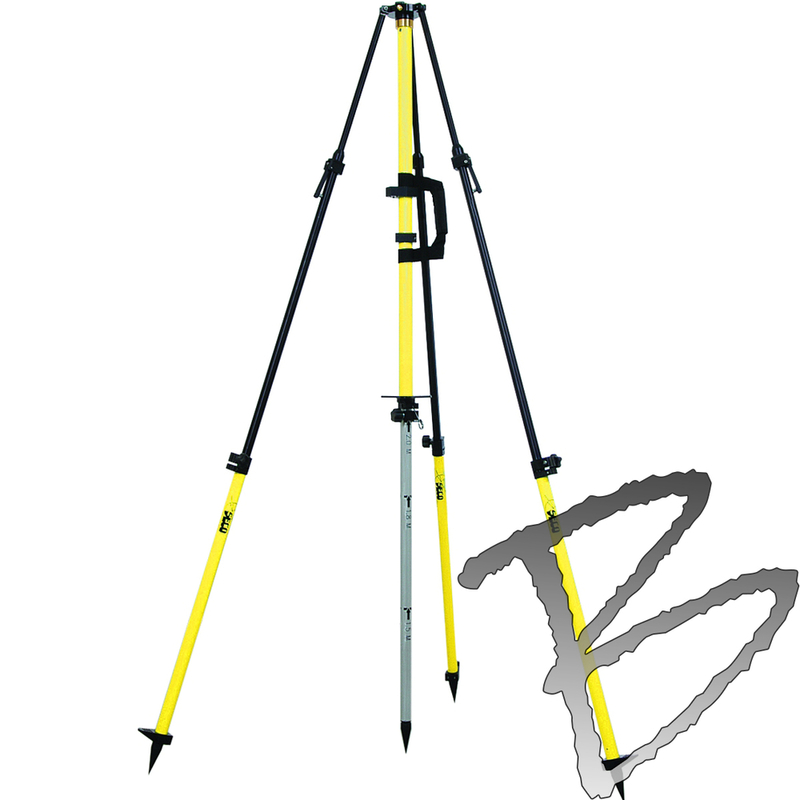 This tripod features a collapsible center staff with twist locking mechanism. The Center staff rotates 360 to check calibration of plumbing with a 10-minute vial. The tripod has quick release & twist locking mechanisms on the legs. The tripod adjusts to three fixed heights: 2 m, 1.8 m, and 1.5 m.
It collapses to 50 inches (127 cm) for easy storage and travel. Other features include a removable 5/8 x 11 adapter, and an onboard compass. The extendable tripod legs and the pole are electrostatically powder painted and include replaceable points. The aluminum hardware is anodized black.